Here’s our regular round up of festivals and events in Cancun, Riviera Maya and Yucatan in the next few months. Dating from 1876, Cozumel Carnival is the oldest Carnival in the Yucatan Peninsula and one of the oldest in Mexico. The pre Carnival celebrations run from February 2 to 24 and the Carnival from February 27 to March 6. 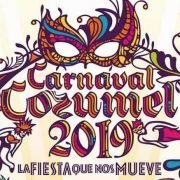 Cancun, Playa del Carmen, Isla Mujeres, Merida, Campeche and Valladolid will also be holding their own Carnival celebrations; the dates may vary slightly in each location. 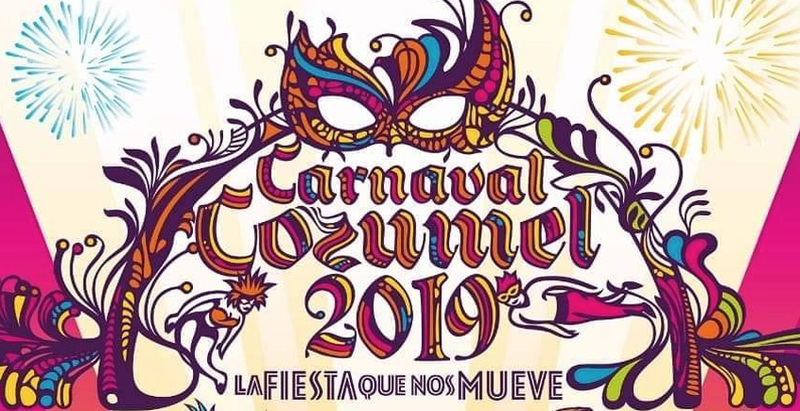 The Cancun Carnival will be from March 1 to 5 and in Merida from February 26 to March 6. Mixology, tastings of tequila, mescal, sotol and other Mexican liqueurs, chefs contests, and much more. It is the tenth anniversary of this Isla Mujeres music festival featuring country, rock and R&B performers. World cinema on the beach, multiple locations in Playa del Carmen, February 2 – 24; Playa del Carmen Unico Beach Club, February 22 -23. Masses, processions and reenactments of the Crucifixion, masses, floral carpets in the streets and more on Maundy Thursday, Good Friday, Easter Saturday and Easter Sunday. Events include exhibitions, parades and more. One of the most important fishing tournaments in the Mexican Caribbean. Pok Ta Pok Golf course in the Cancun Hotel Zone will be the site for this Hot Air Balloon Festival and there will also be kite flying, cuisine, music and more. 1,500 top triathletes gather in Cancun for this international triathlon. The swimming course is in the bay between Cancun and Isla Mujeres; the bike race circuit is from Casa Blanca Sports Club in Bonampak Ave to The Royal Sands in the Hotel Zone (two laps) and the running event will take place on Bonampak Ave. Check the Royal Resorts blog during the year for more listings of events in Cancun, Riviera Maya and Yucatan.